Model State Emergency Health Powers Act “could turn governors into dictators” Federal health authorities could exercise authoritarian powers to control an Ebola outbreak if the deadly disease hits the United States under the Model State Emergency Health Powers Act, legislation passed in the wake of 9/11 which attracted controversy at the time for its draconian scope. 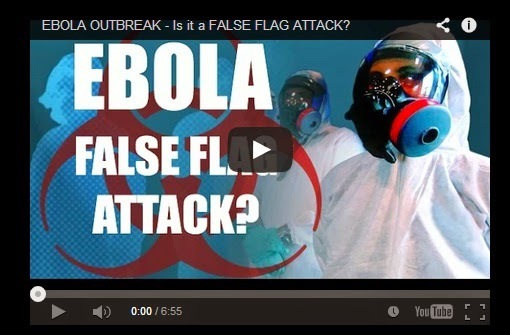 Truth Raider Warns of Ebola False Flag The federal government already has the authority to round people up against their will Ebola Vaccines: Poor Market Potential and Lack of Subjects for Clinical Trials Holding Up Testing The most promising one is stuck in safety testing for the simple reason there is no money for a vaccine that has no market. Most big pharmaceuticals do not like to sink assets into developing any drug with low potential. That leaves the playing ground largely to the government and small, niche companies. An NHS doctor has urged the world to wake up to the growing threat of Ebola after risking his life working 24-hour hospital shifts trying to save pregnant women struck down by the disease. Ebola Outbreak — Why Does U.S. Government Have PATENT RIGHTS on the EBOLA VIRUS?